Lake Wakatipu. Pigeon and Pig Islands; Rees and Dart Rivers at head. 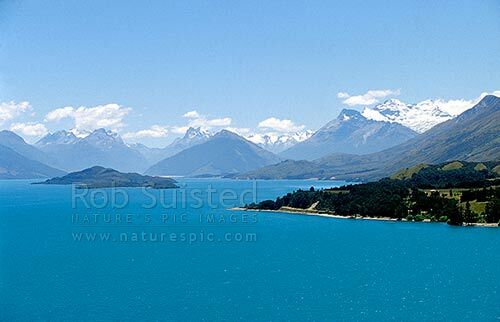 Mount (Mt) Earnslaw (2816m-right), Glenorchy, Queenstown Lakes District, Otago Region, New Zealand (NZ), stock photo.